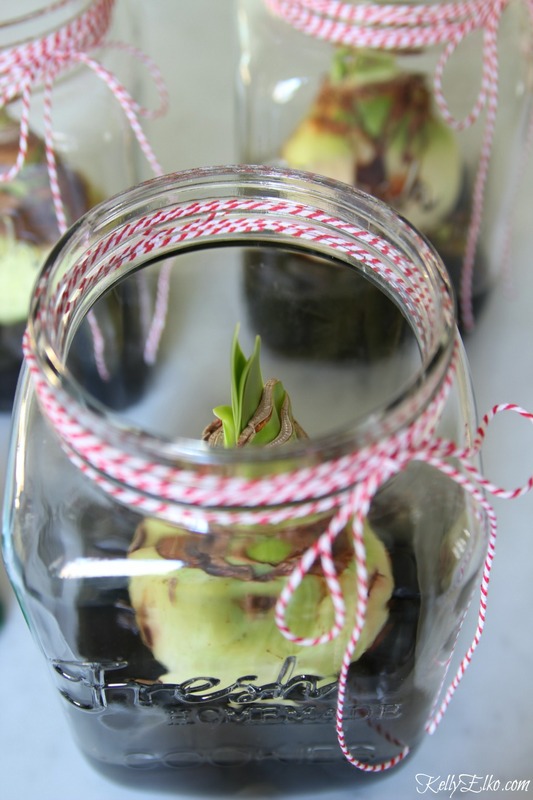 Amaryllis bulbs are the perfect hostess gift for the holidays. 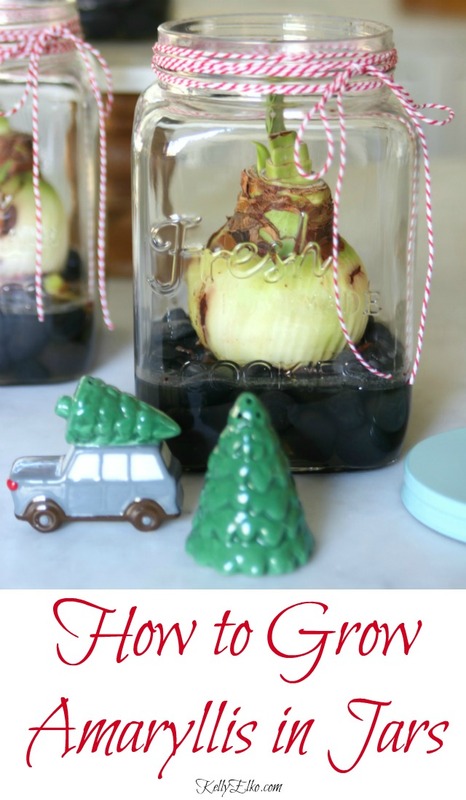 I’m sharing how to grow amaryllis jars that are quick and easy to make. I like checking as many things off my list as early as possible so I can sit back and relax during the busy Christmas season. 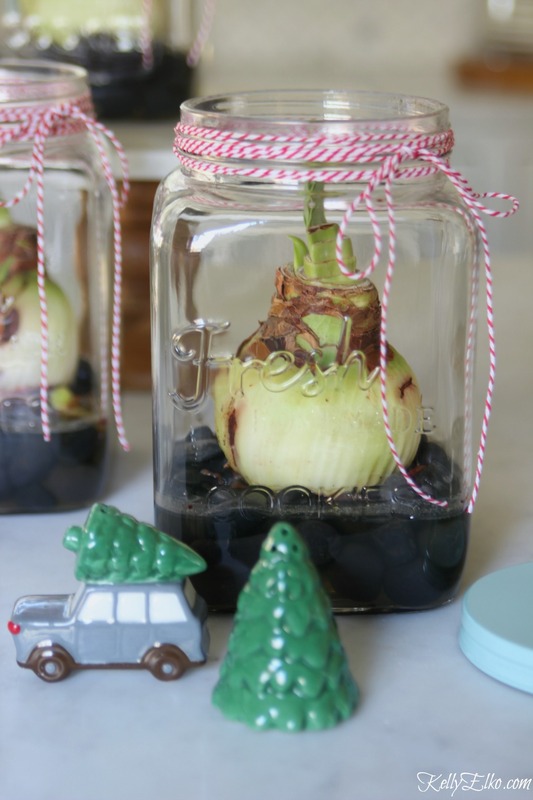 This year, I’m whipping up a batch of festive Amaryllis jars for friends and family. Since they can take 6 or more weeks to bloom, it’s important to plant them early. Best part – all you need is a jar, stones and water to grow these beauties. I found these fun “fresh homemade cookie” jars with lids at HomeGoods and once the flower fades, the jar can be used for so many things. 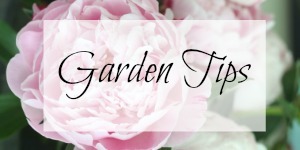 Watch the the roots grow around the stones and the bulb begin to sprout then bloom in around 4-8 weeks. The perfect gift that keeps on giving. 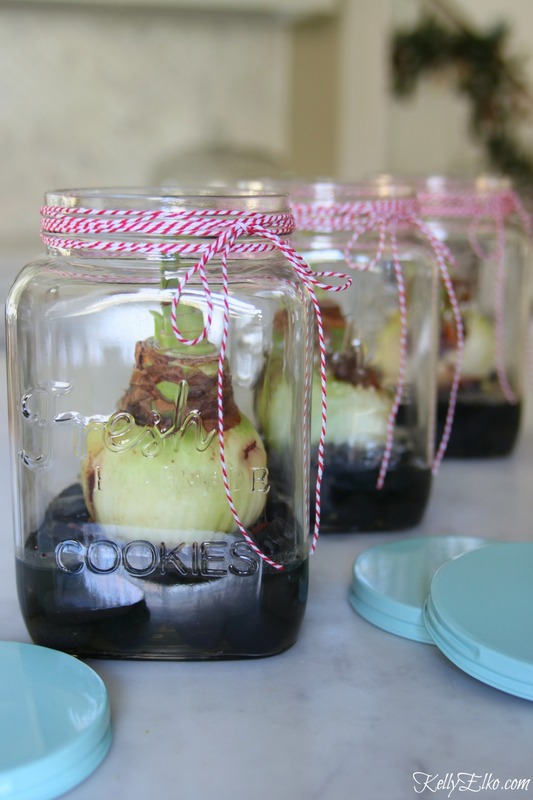 Once the bloom fades, the jar can be used for storing more than cookies. only 8,649 more to go! I’m not sure Pat – I’ve only seen them available around the holidays. I’m going to fetch myself some amaryllis bulbs, great gift idea! 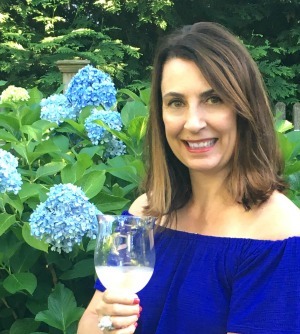 Enjoy them Mary Beth – they are so festive! Kelly….you have the best ever ideas! What a great gift these are!!!! So glad you like it Lisa – enjoy!! Nice and easy — thank you Kelly! That’s my middle name … wait, I’m not easy! I love this idea! The jars you used are no longer available. Can you give me an idea of their approximate dimensions? Thanks!